Happy Thanksgiving Weekend to all our American painters and partyers! Welcome to Week 38 of Year 6 at PPF. Our deepest thanks to all of you from around the world for your warmth, creativity, sharing and participation in Paint Party Friday! We are very grateful for each of you. This week Random.org chose #39 - Julene. 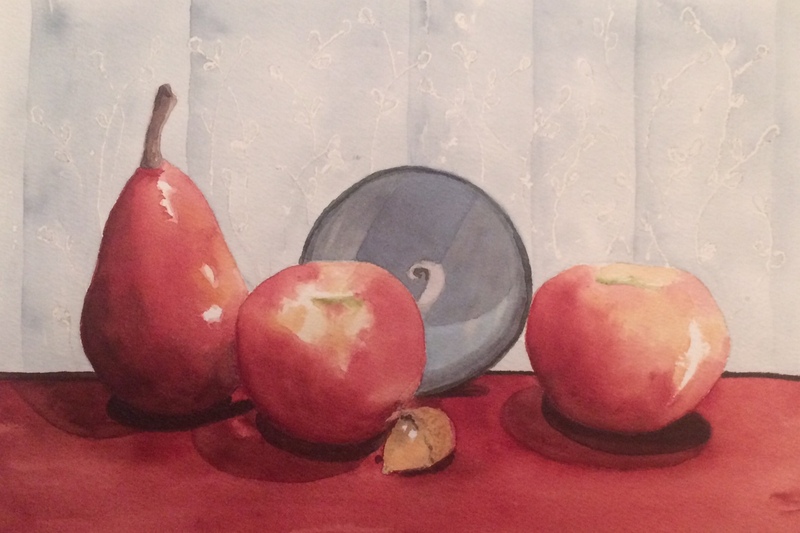 It was a productive week for Julene who finished 2 paintings including this lovely Still Life. Please visit her to check out her other work! Welcome to Week 37 Year 6 of Paint Party Friday! This week, the random.org number generator chose #35: Katie Jeanne. 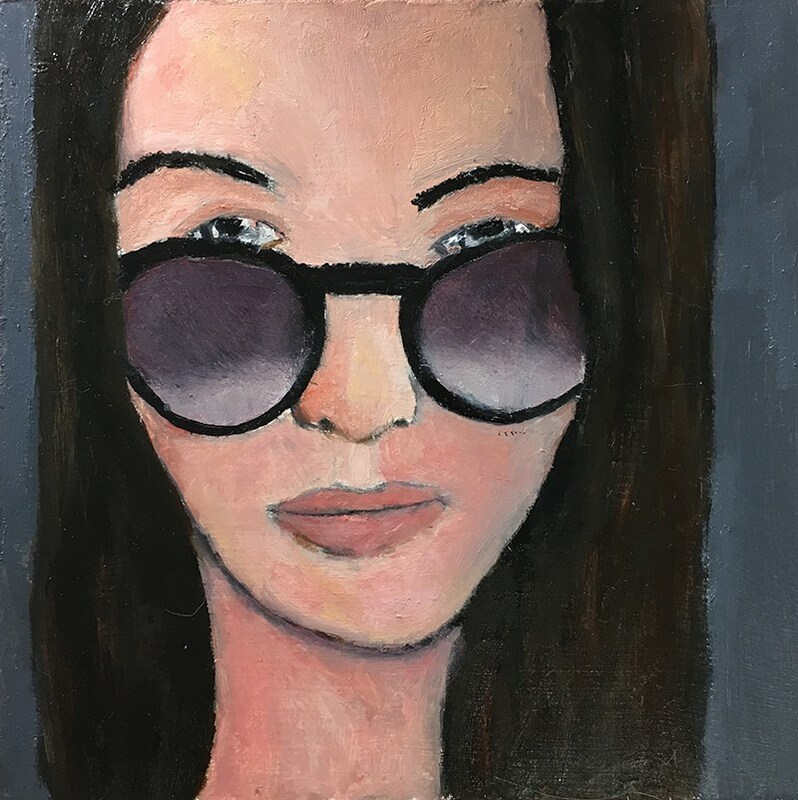 Last week Katie shared a beautiful oil portrait of a cool woman in amazing purple sunglasses! She also shared a link to a video of her painting it... I don't know about you, but we love watching other artists paint! 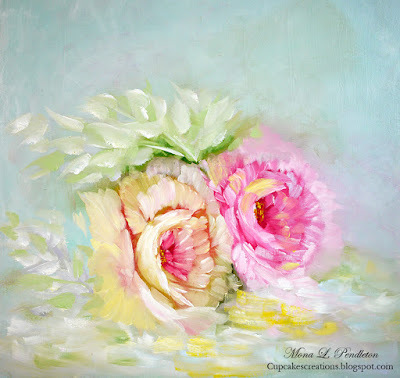 Please be sure to stop by her blog (and be prepared to be inspired). Have a super cool and super creative week! Welcome to Week 36, Year 6 of Paint Party Friday! This week, the random.org number generator chose #45: Laney. Sometimes it is spooky the way the random selection knows exactly what we need... Last week, Laney shared a beautifully vibrant post about some "fun (and therapeutic) journaling playtime". I think that many of us are probably feeling the need for some healing art therapy right about now... So, please head on over to Laney's blog for a creative and inspiring post that might just have you playing along in no time! Wishing you a week of messy fun! Welcome to Week 35 of Year 6 at Paint Party Friday! This week Random.org chose #45 - Julene. 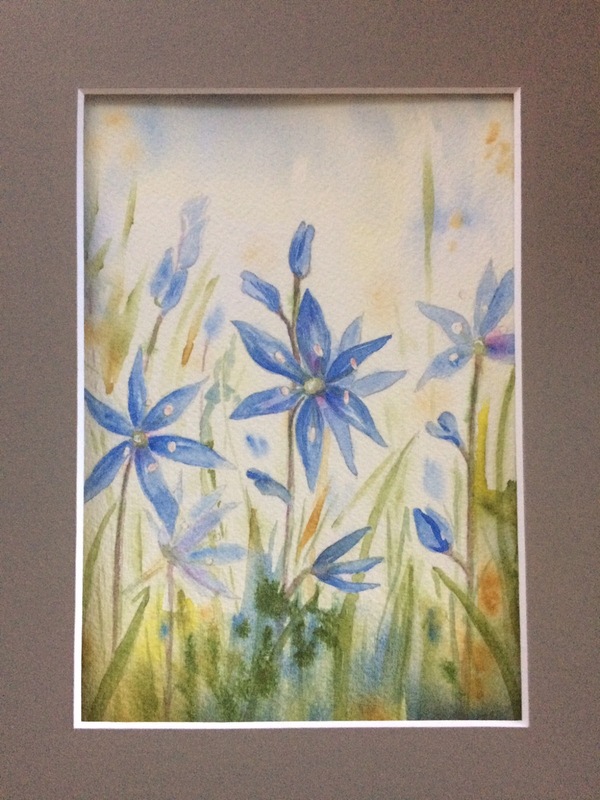 A pretty blue wild flower inspired Julene's paintings this week. 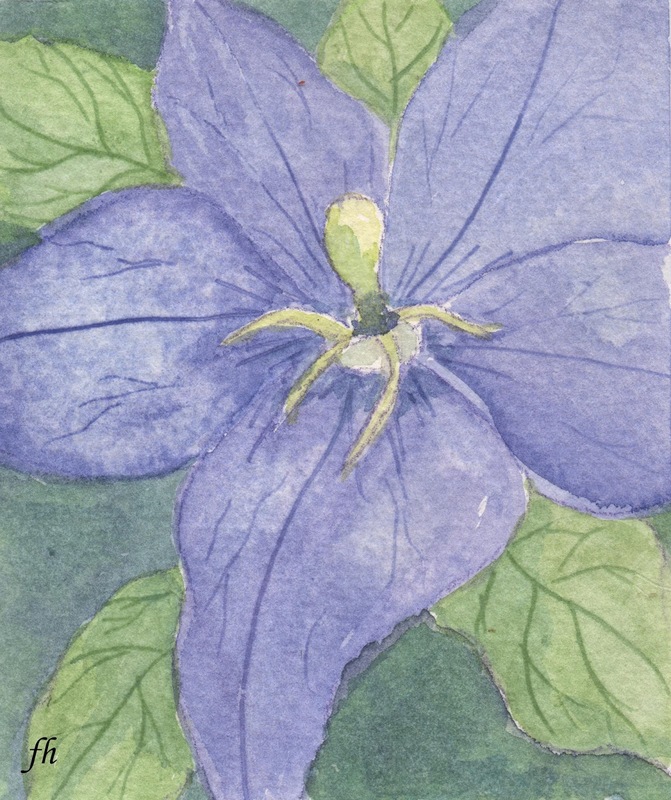 This is one of two lovely paintings, please visit her to see the other and learn some of the history of the flower. Welcome to Week 34 of Year 6 here at PPF! This week our random number generator chose #40 - Lorraine. 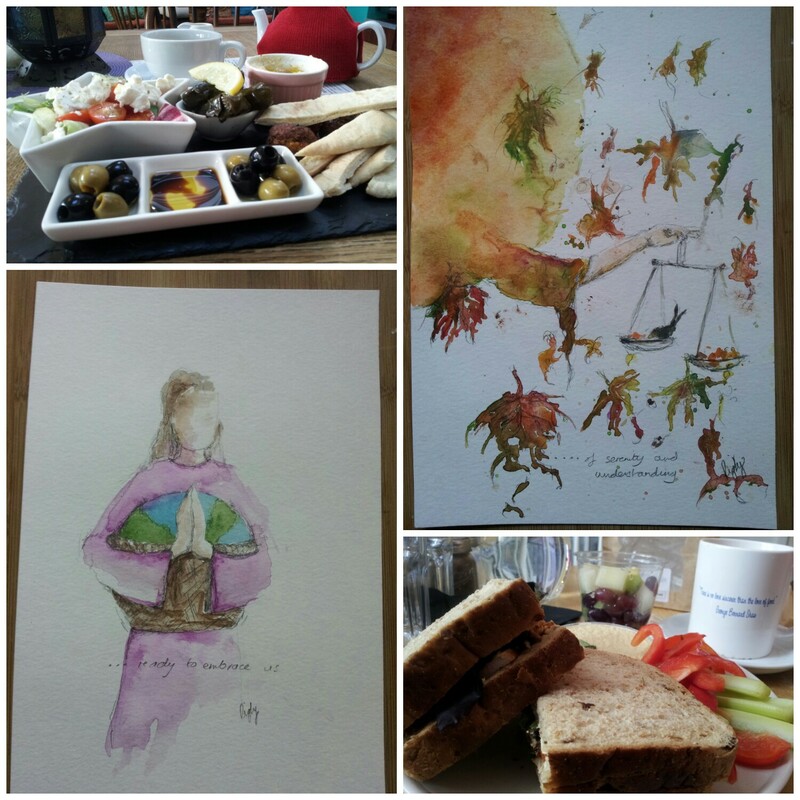 This week showed a collage of two of her paintings and some yummy food. (Food is always great at parties, right? ☺). 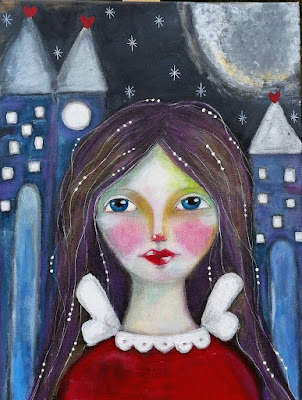 Her paintings are inspired by poetry and she shares those links at the bottom of her post. Worth visiting! ﻿Have a wonderfully creative week! Welcome to Week 33, Year 6 of Paint Party Friday! This week, the random.org number generator chose #17: Morag. Last week Morag shared a marvelous "moonlight adventure". 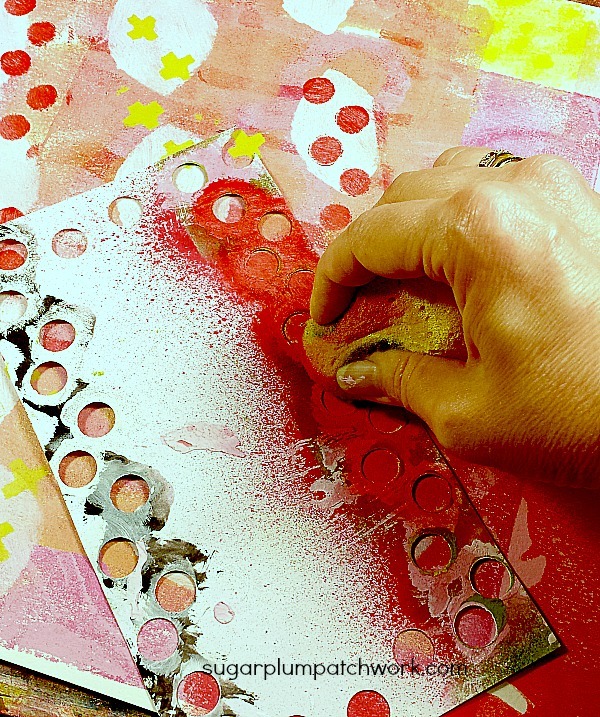 In addition to sharing her beautiful painting, she gave us a glimpse into her process. 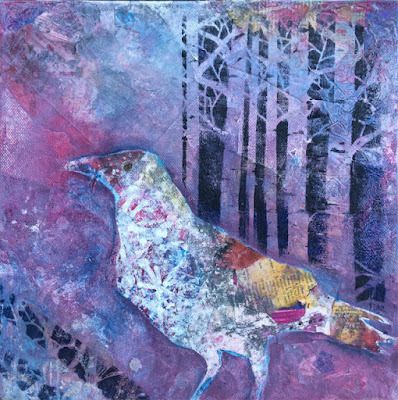 Please stop by her blog to find out how she creates her mixed media magic. 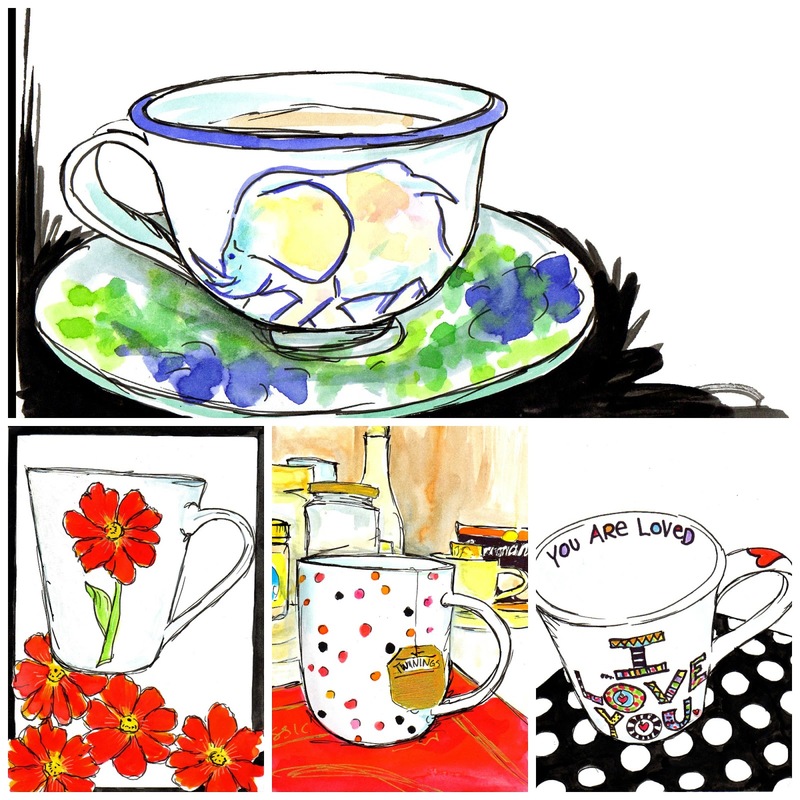 Morag's blog post has us wondering... How do you paint? Do you have a plan from the start? Or, do you let the painting guide you and decide as you go? Welcome to Week 32, Year 6 of Paint Party Friday! This week, the random.org number generator chose #22: Liz Powley. Last week Liz shared her beautiful artwork along with wonderful news of a gallery show! Congratulations on your joint exhibition, Liz! We wish we lived closer... We're sure it is spectacular show & opening night sounds like it must have been lots of fun! Please stop by Liz's blog to learn more about her exhibition, and to see the other exciting artwork she's been working on! Wishing you a wonderful week filled with paint! Welcome to Week 31 of Year 6 at Paint Party Friday! We want to wish our Canadian partyers a Happy Thanksgiving this weekend! This week random.org chose #41 - Kate Powell. Kate painted her little studio companion on his favourite chair.... Doesn't he look comfortable! Hope the changing seasons are inspiring your creativity! Welcome to Week 30 of Year 6 here at PPF! 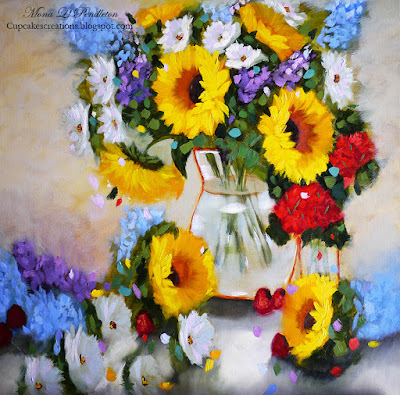 This week, random.org chose #53 - this beautiful fall bouquet by Mona Pendleton. 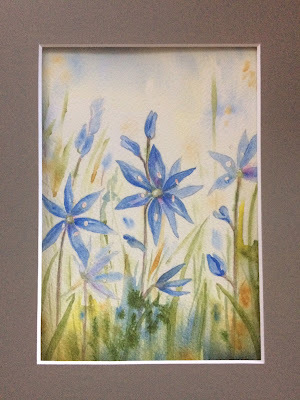 Mona is painting 30 paintings in September and has been inspired by a number of how-to books and videos she has recently bought. Welcome to Week 29, Year 6 of Paint Party Friday! No party is complete without cake, so we are thrilled that this week the random.org number generator chose #9: Christine. 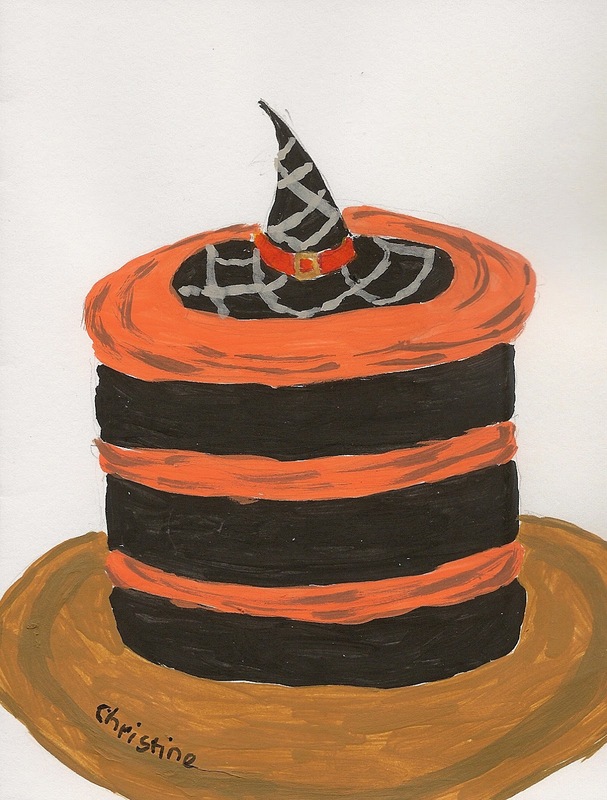 Last week, long time PPF party gal Christine shared a fun and festive Halloween cake that has us thinking about Fall! Please be sure to stop by Christine's blog to see what other creative goodness she's got cooking. Hope your week is filled with sweet sweet inspiration! Welcome to Week 28, Year 6 of Paint Party Friday! Thank you for all of your thoughtful and lovely comments last week! 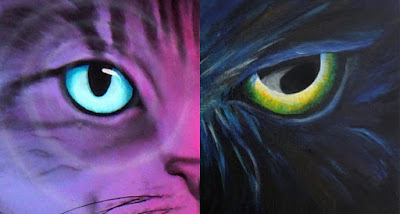 Getting back to our randomly selected PPF Painting Spotlight....this week random.org chose #13-Nicola McLean. Nic was inspired when she looked down while walking her dogs and saw that her boots matched the river rocks! Inspiration is everywhere! Nic has entered this beautiful painting in a competition and would love any help we can offer. Please visit her post to find out more about how to vote for her painting. Hope you find lots of unexpected inspiration this week! Welcome to Week 27, Year 6 of Paint Party Friday! It is our hope to keep Paint Party Friday a fun and supportive environment for you to share your weekly painting accomplishments. We would like to continue to be able to allow you to decide for yourself whether PPF is an appropriate place for you to share the type of art that you do. And, as much as we would like to urge you to visit and get to know as many of the other PPF party guests as you can, we realize that only you can decide how much or how little time you have available for participating. We know that we wish we had more time ourselves for painting, partying and visiting with you instead of mostly participating in the background. It is not (and never has been) our intention to be the painting police. We respect that all of our PPF party guests are adults who can decide whether their post is appropriate for this venue, who can decide how much they participate, and who can simply choose not to visit the blogs that they don't feel are appropriate. We continue to be amazed, delighted and awed by the love, kindness, and support you all show each other... 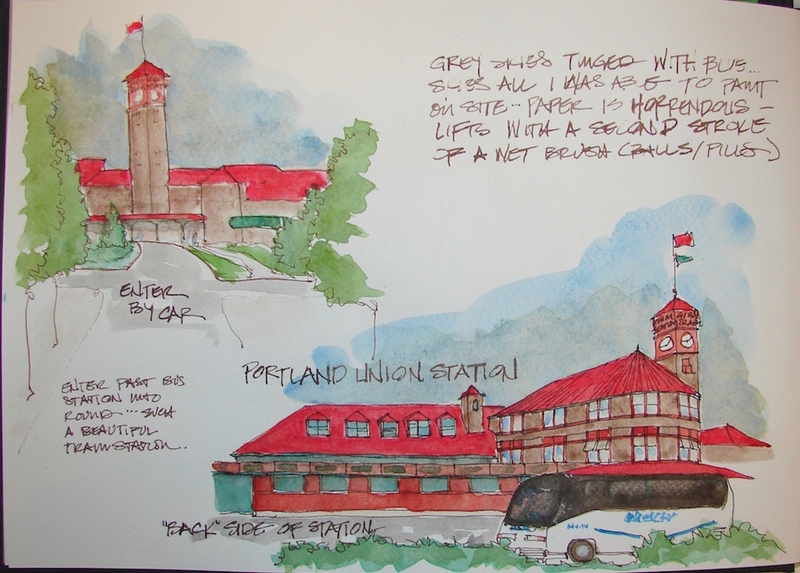 Thank you for keeping PPF such a caring community and for sharing your beautiful art with us. We appreciate your feedback, and are always open to your suggestions. Please feel free to email us with any questions you may have. Enough of the serious stuff... Let's Party! Hope you discover some new and different inspiration this week! Welcome to Week 26 of Year 6 at Paint Party Friday! Halfway through another year! This week, Random.org chose #56 - Sarah from A Cat Like Curiosity. In her post this week, Sarah went thru all the steps she took in creating this inspiring angel. Please drop by and check out her process. Welcome to Paint Party Friday Week 25 of Year 6! We're so happy you're here! This week, the random.org number generator chose #21: Giggles. 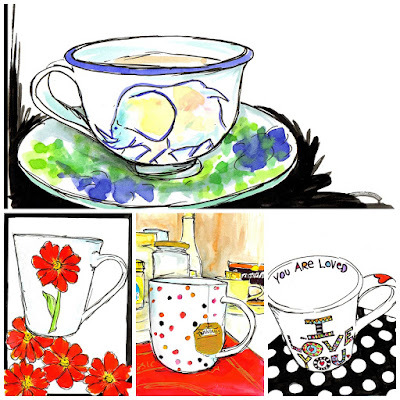 Last week Giggles shared a variety of her wonderfully vibrant and fun paintings (you'll have to stop by her blog to see them all)! 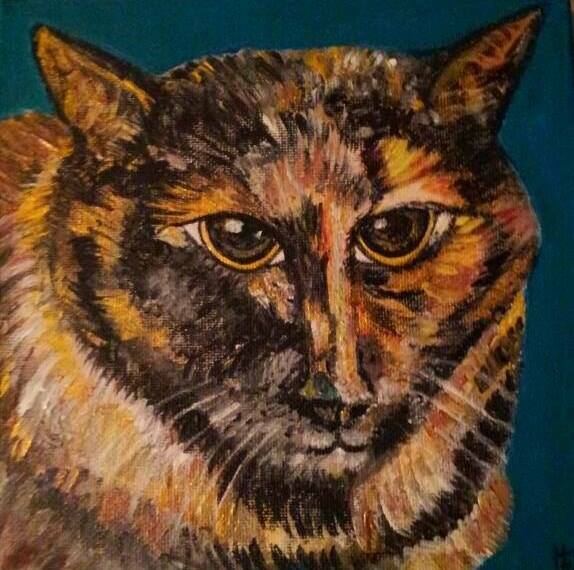 In addition, she shared this beautiful painting (in a slightly different style) of her friend's cat. It was painted as a (very thoughtful) birthday present... What a great gift! Your paintings are a gift to us all... Thank you for sharing them with us each week! Welcome to Week 24 of Year 6 here at PPF! Welcome to Week 23 of Year 6 here at PPF! This week our random number generator chose #30 - Indira. 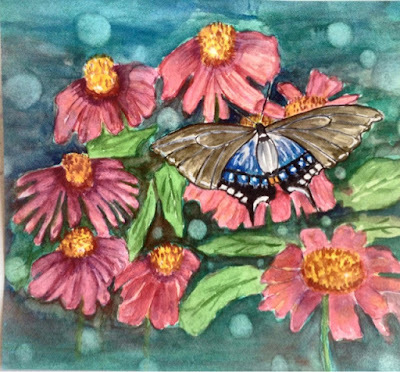 Nature - in the form of Spicebush Swallowtail butterflies and cornflowers (Echinacea Purpurea) have been inspiring Indira this week in this lovely watercolour. Welcome to Week 22, Year 6 of Paint Party Friday! This week the random.org number generator chose #40: Carmen Sanchez-Buster. 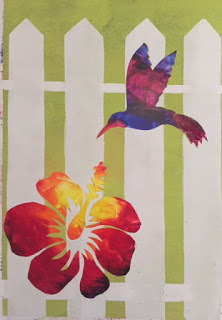 Last week Carmen shared a lovely layered mixed media Frida that she created in a travel art journal. 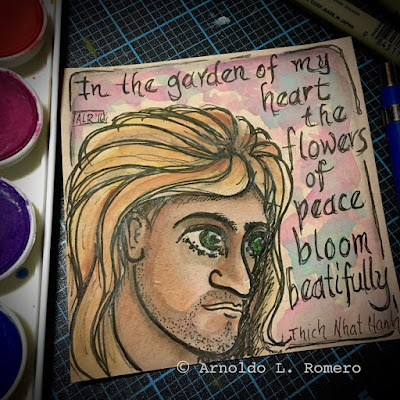 She wrote a very interesting post to accompany her painting and also shared process pics, so please be sure to stop by Carmen's blog to learn more about her own journey with Frida. Have an inspired week, PPFers! 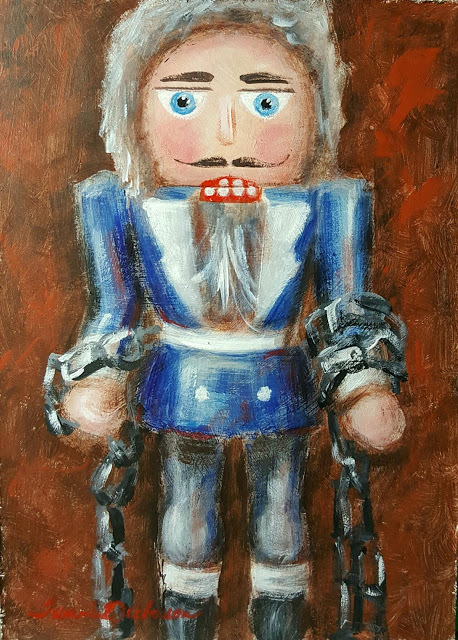 Welcome to Week 12, Year 6 of Paint Party Friday! This week, the random.org number generator chose #28: Susan. Last week Susan shared how she re-purposed her beautiful painted yupo backgrounds. This is just one of the cool images she shared, so be sure to stop by her blog to see the rest! Welcome to Week 11, Year 6 of Paint Party Friday! 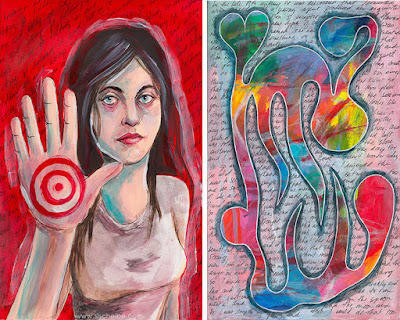 This week, the random.org number generator chose #21: Ayala Art. Last week Martha shared a very fun folksy style cat that she created for a traveling journal. 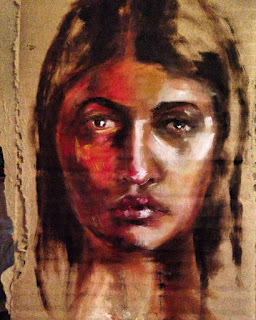 In addition to the painting, she also generously shared her process in a video. 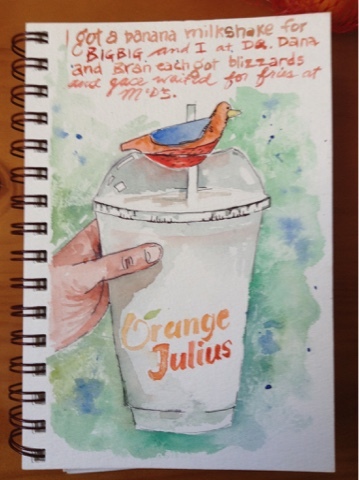 We love to see how other artists create, don't you? Please be sure to visit her blog and check out her video! Have a fun and colorful week!